Genuine India Stag Bone Baby Damascus Bowie Knife | BUDK.com - Knives & Swords At The Lowest Prices! 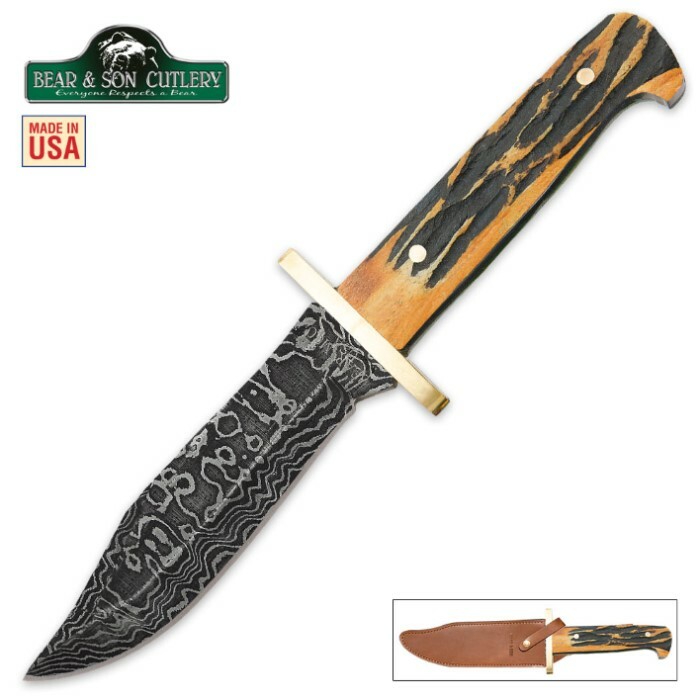 It is the India Stag Bone handle that really makes this bowie knife exquisite, along with the beautiful Damascus steel blade. 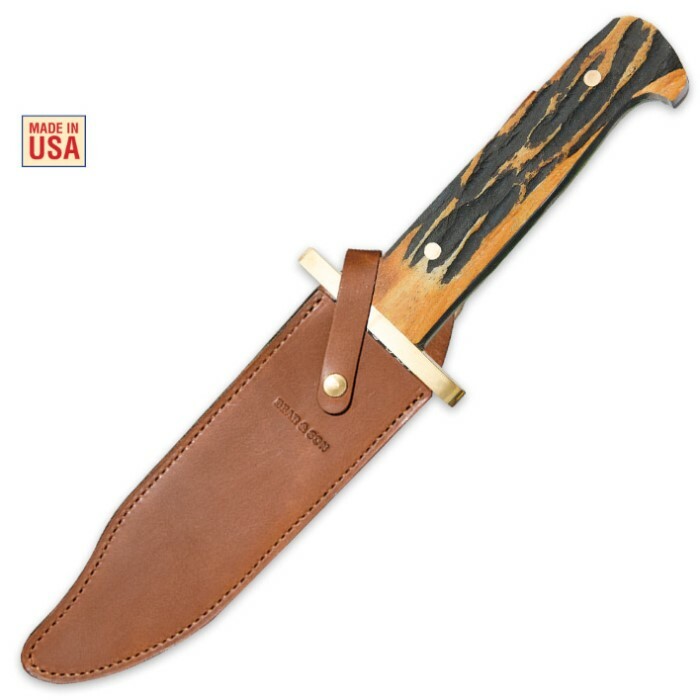 The blade is 3” in length but that doesn’t mean that it is any less powerful than a traditional size bowie knife. The overall length of this bowie knife is 6 1/2”. This is a new spin on a tried and true design that you definitely have to add to your collection.